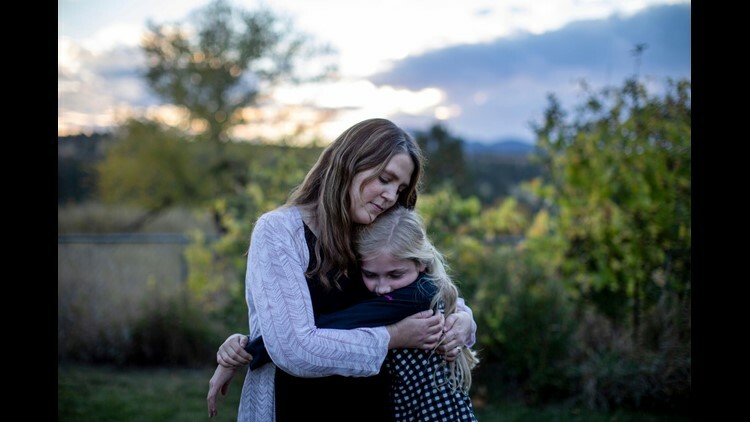 Kristen Kilmer hugs her 12-year-old daughter at their home in Spearfish, South Dakota. Kilmer has relied on precision medicine to treat her breast cancer, but the approach is expensive, and there are no guarantees her insurer will keep covering it. When Kristen Kilmer was diagnosed with incurable breast cancer at age 38, her first thought was of her 8-year-old daughter. Kilmer lost her own mother as a teenager and was determined to get more time with her only child. The South Dakota woman searched for experimental treatments, and opted for an unproven approach in which researchers chose drugs based on the genes in patients’ tumors. Doctors have selected her treatments for the past three years based on the unique, ever-changing DNA of her cancer cells. Kilmer, now 41, has responded better than anyone dared to hope. Her cancer has gone into hiding; her tumors are no longer visible on medical scans. Kilmer’s insurance company calls it experimental. As a consequence, her insurer has covered only a fraction of her care, forcing Kilmer to make an agonizing choice: stop taking a drug that costs nearly $17,000 a month, or pay out-of-pocket, burdening her family with tremendous debt. Precision medicine is one of the most celebrated areas in cancer research. But the high cost of cutting-edge tests and treatments is threatening to keep it out of reach for many patients. Dr. Scott Ramsey is director of the Hutchinson Institute for Cancer Outcomes Research in Seattle. Precision medicine involves running expensive tests called genomic sequencing, which scan the DNA of tumors to find mutations that might be susceptible to available drugs. Although the field is relatively new, hundreds of thousands of cancer patients have had their tumors sequenced to identify cancer-related mutations, according to testing companies. Medicare, the government insurance plan for people 65 and older, announced in March that it will pay for genomic testing for people with advanced cancers – a decision that could add $2.5 billion to federal health care costs, according to a May analysis in Health Affairs. But few private insurers cover the tests, leaving some patients with surprise medical bills. Kristen Kilmer spreads out her daily medications, including Lynparza (center), which costs nearly $17,000 per month. Yet paying for that initial test is just the beginning. As Kilmer learned, finding the money for ongoing treatment is far more challenging, said Dr. Gary Lyman, who studies way to improve health care quality at Seattle’s Fred Hutchinson Cancer Research Center. In some cases, genomic tests match patients to experimental drugs available only in clinical trials. Although these trials sometimes provide free medications, many cancer patients can’t afford to travel to participate in them. Kilmer drives 12 hours round-trip every month to participate in a clinical trial in Sioux Falls, South Dakota. The expenses add up quickly, she said. Kilmer’s genomic tests identified a rearrangement in the PALB2 gene. Preliminary studies suggest that tumors with this genetic rearrangement could be susceptible to the drug Lynparza, but those effects haven’t been definitively proved in large-scale studies. The Food and Drug Administration has approved Lynparza only for breast cancer patients with a mutation called BRCA. Legally, doctors may prescribe Lynparza “off label” to anyone with cancer. But insurance programs are reluctant to cover off-label treatments, unless they’re specifically recommended in expert guidelines. Kilmer has spent much of the past three years battling insurance officials and begging drug companies for financial assistance. The drugmakers have been generous, allowing her to take a rotating cocktail of experimental drugs for free because her income is modest. Paying thousands of dollars a month was not an option, Kilmer said. Her family already carries significant credit card debt from earlier cancer treatments. She estimates that she has spent about $80,600 out-of-pocket treating her illness, including $23,600 on her early breast cancer therapy and $57,000 treating metastatic disease. Kilmer stopped taking Lynparza. If AstraZeneca rejected her appeal, she would rather have gone without the drug than financially burden her daughter and husband, a truck driver. 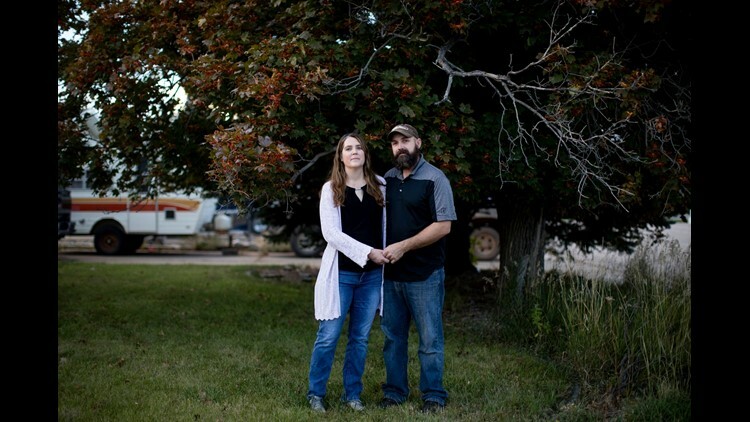 Kristen Kilmer and her husband, Chet Kilmer, outside their home in Spearfish, South Dakota. Insurers say costs aren’t their only concern. They argue that there isn't enough evidence that precision medicine will work consistently. Genetic testing has become the standard of care for melanoma and a common type of lung cancer, but no one knows if genomic sequencing will extend the lives of people with other types of cancer, said Dr. Carolyn Presley, an assistant professor at the Ohio State University Comprehensive Cancer Center. A study of more than 1,000 women with advanced breast cancer – presented at a September meeting of the American Society of Clinical Oncology – found that 54 percent had stopped or refused treatment because of cost. The women in the study might have been more vulnerable than most. Thirty percent were uninsured, about twice the national rate. In an August study in JAMA, researchers found that relatively few of those who hoped to benefit from precision medicine actually ended up on a medication. Just 15 percent of those who underwent genomic sequencing ended up taking a targeted therapy, researchers reported. 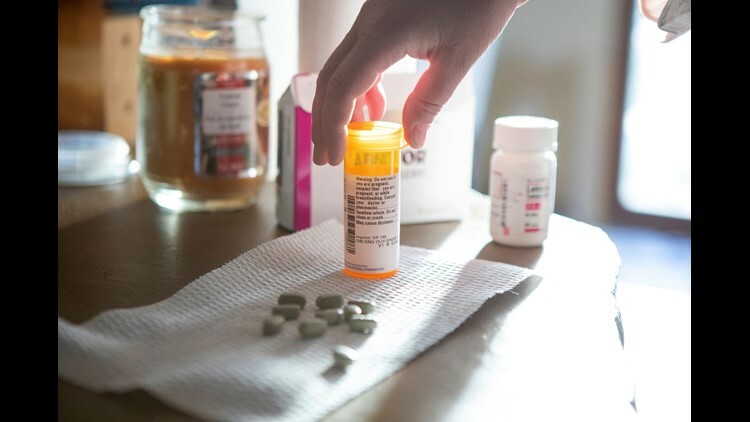 They didn’t ask participants why they failed to get a targeted drug, but Presley, the lead author, said it’s likely that some patients couldn’t afford them. “We’re finding the mutations, but patients aren’t getting the drugs,” Presley said. After Kaiser Health News began researching Kilmer’s story, her oncologist told her that AstraZeneca had agreed to continue providing Lynparza for free. "It's a huge relief," Kilmer said.